The implementation of BI into the business strategy and culture is laden with many potential points that could result in failure of the initiative, leaving BI to be underdeveloped and a source of wasted resources for the company. Due to the unique nature of BI in the business space, properly setting up BI within the organizational structure from the onset of integration minimizes the impact of the most common hurdles to BI implementation. Many companies choose to mitigate these problems by using a centralized approach by building a Center of Excellence, but their place in the company’s organizational structure needs to be well-defined and properly empowered to be effective. This paper also reviews how the concept of centralization is defined, how it relates to the implementation of BI, and how it can effectively in overcome the common implementation hurdles. The new competitive edge in business is quickly forming to be the adaptation of business intelligence into every facet of decision making within an organization. Fully integrated BI companies like Harrah’s and Amazon have pushed their competitive advantage to become leaders in their industries. Even in companies that don’t push BI as a competitive advantage, the importance of information is no longer a question in the minds of most business executives. Companies can no longer compete well without leveraging their information in some capacity. In fact, 95% of organizations in a Forbes survey recognize that information management is critical to business success (Forbes, 2010). So the real challenge businesses have to deal with is how to organize their resources to best enable intelligence use to reach its full potential. BI sits on a technical infrastructure, and relies on it exclusively to deliver the information, but the technology is, for the most part, mature to the point where it is not an impediment to the implementation of BI. 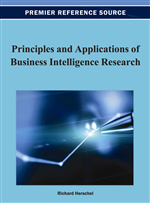 Instead, as Gerry Lee from Aviva states, “Business intelligence isn't a technology issue, it's a business issue.” It's no longer whether you can do a particular task or project, but how, and who's responsible (Whiting, 2004). As a company makes the move in their business to integrate data into decision making, it typically won’t occur in one short project cycle. The path to a fully mature BI-centric enterprise takes years to accomplish, and the business will experience many different forms of organizational structure as BI becomes more pervasive. There is not a consensus as to what structure is the most optimal for a BI rollout, even within the same business. Businesses tend to cycle through different structures as they mature. There is a spectrum of organizational structure that could manifest, with a consolidated view on one end, and a decentralized embedded individualistic view on the other.